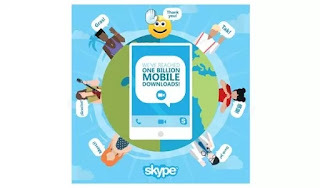 Skype Hits One Billion Downloads, Promises To Come Live On Windows 10 Mobile. Skype is loved by almost everyone because of its video calling features. Users can make video calls with anyone at any location worldwide. This great milestone was achieved within a period of 7 years and skype went on to thank all their users for the support and progress via a skype blog post. 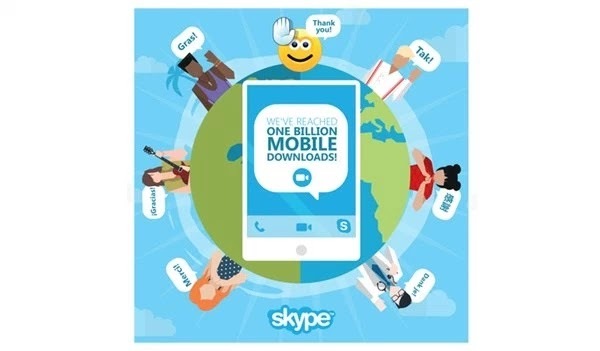 "That’s a huge milestone and we wanted to say a huge thank you to everyone that has downloaded Skype on their mobile. Wherever you are, from the US and Russia, to the Cocos Islands and Pitcairn (guess how many people use Skype in Pitcairn #SkypeTrivia), you’ve all helped Skype grow from just a few users in Tallinn, Estonia, to hundreds of millions in every corner of the earth". Meanwhile, plans are underway to bring Skype to windows 10 mobile devices. It is working to note that initially, Skype was only available on iOS devices but now it has extended to android and windows. Are you using Skype on your smartphone and PC? What is your experience so far?